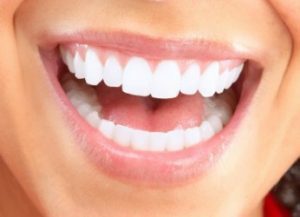 A beautiful set of pearly whites has the power to make you look happy, healthy, youthful and successful. If you weren’t born with perfect teeth, or your teeth have changed over the years, you may be interested in exploring your smile enhancement options with trusted cosmetic dentist Dr. Nancy Snyder. Cosmetic dentistry doesn’t have to be extremely complex or time-consuming — many of Dr. Snyder’s patients find that a single treatment helps them feel more attractive and confident. Cosmetic dentistry is a set of services designed to improve the appearance of the teeth and smile. Treatment options can range from correcting the color of the teeth to reshaping abnormal teeth to filling gaps between the teeth (and everything in between). With a more attractive smile, you may feel more comfortable and confident in everyday interactions. You might discover the desire to move forward in your career or to start new relationships because of how great you look and feel. A more beautiful smile can open up a world of possibilities! Dental veneers are small pieces of porcelain placed over the front of the teeth to cover up surface flaws. Dr. Snyder can use veneers to mask small chips, cracks, stains or uneven tooth edges. Depending on the case, she may recommend placing a single veneer over an abnormal tooth or a set of veneers over the front teeth. Teeth whitening dramatically lightens and brightens stained, dull or discolored teeth. Dr. Snyder offers customized take-home whitening trays that allow you to whiten in the comfort of your home. Dental crowns restore the entire exterior portion of a tooth from the top down to gum level. They replicate a normal appearance and add strength and resilience to teeth compromised by damage or decay. Color-matched to the surrounding teeth, crowns blend in seamlessly. Dental bridges fill gaps left by one or more missing teeth. Although there are a few different types of bridges, all use the surrounding natural teeth as a foundation. A traditional bridge consists of three crowns: the crowns on either side of the bridge cap, the teeth adjacent to the gap, and the crown in the middle that fits into the gap. The success of your cosmetic dentistry treatment in Ft. Oglethorpe depends on the qualifications of your cosmetic dentist. Ideally, you want to find a dentist with the proper cosmetic dentistry education and training, as well as the experience and skill necessary to create beautiful, long-lasting results. Dr. Snyder has the technical expertise and artistic sensibilities required to deliver truly masterful outcomes. She would be happy to sit down with you to discuss your cosmetic goals and expectations, and recommend a suitable course of treatment. To schedule a cosmetic dentistry consultation with Dr. Snyder, please call or email our practice today.